April 18, 2017, 3:19 p.m. The International Monetary Fund (IMF) says Ghana's economic growth is due to pick up in 2017 and revenue projections for the year are “optimistic” adding declining inflation and prospects for a significant increase in net international reserves, boosted by recent sizable exchange inflows are positive signs. In a preliminary assessment of the economy under the new Nana Akufo-Addo led administration, the Fund said "in the mission's view revenue projections are optimistic," mission chief Annalisa Fedelino said. She was quick to add that Ghana’s longstanding challenges can only be resolved through ambitious and sustained reforms in key policy areas, going beyond the central government to encompass the broader public sector. The IMF Mission said more is needed to be done to restore macro-economic stability and anchor confidence. The mission’s discussions focused on recent economic and policy development and the outlook for 2017 and the medium term, including prospects for restoring high economic growth and job creation. It also discussed the parameter of the programme, consistent with restoring macroeconomic stability. “In our view, the immediate priority is to ensure fiscal discipline by bringing down the budget deficit to a level required to place public debt on a clearly declining path. “Continued fiscal consolidation would also facilitate ongoing disinflation and anchor confidence,” she said. Government has committed to achieve the budget deficit of 6.5% announced in the 2017 budget through a step up in revenue collection. Annalisa said the significant unpaid commitments incurred in 2016 and weaknesses in the financial position of state-owned enterprises (SOEs) in the utility sector could undermine fiscal adjustment and add to spending and public debt. She called for the need to bring fiscal discipline to SOEs, especially those in the utility sector. She added that the IMF would continue to support the Ghanaian authorities’ policies aiming at macro-economic stabilisation and enhancing the growth potential of the economy. 1. After years of mixed performance, Ghana now faces a unique opportunity to change course. With the new administration having won a strong electoral mandate, there is scope to pursue the adjustment and reforms needed to restore macroeconomic stability and “create prosperity and equal opportunity for all”—which are among the government’s key priorities. 2. Initial steps have been promising. The recently assembled economic team has brought new confidence; the 2017 budget limits earmarking and seeks to control exemptions and tax evasion; and the Ministry of Finance (MoF) is pursuing improvements in public financial management (PFM) to secure spending discipline. Investors’ response has been positive, with the exchange rate recovering in recent weeks after a rapid depreciation through end-February. The latest auction of government bonds saw a record level of issuance amid high foreign investor participation. 3. More generally, economic prospects in 2017 are encouraging. Overall GDP growth is expected at about 6 percent in 2017, reflecting a strong increase in oil production, against the backdrop of the contractionary impact of the budgeted fiscal adjustment. Inflation is on a declining trend and projected to fall to the upper bound of the Bank of Ghana (BoG)’s target by year-end. Following the recent sizable FX inflows, the government plans to add $700 million to its net reserves in 2017, the largest increase since 2011 when oil production started. The sizable fiscal slippage in 2016 (a budget deficit of 8.7 percent of GDP, more than 3 percent of GDP above target) has further undermined debt sustainability and increased Ghana’s reliance on foreign investors to fund its large gross financing needs, with possible pressures on the exchange rate if financing conditions deteriorate. Significant unpaid commitments incurred in 2016 (now being audited) and weaknesses in the financial position of state-owned enterprises (SOEs) in the utility sector could give rise to additional spending needs. And while the financial system is overall adequately capitalized, weaknesses in some banks and microfinance institutions could hamper credit growth and investment and create contingent liabilities for the government. 5. A balanced set of policy measures is needed to anchor confidence and mitigate risk. The immediate priority is to entrench fiscal discipline in a credible adjustment path, going beyond the central government’s operations to encompass the broader public sector. Broad structural measures will need to support these efforts for adjustment to last. In recent years Ghana’s public debt burden has risen significantly. Repeated fiscal slippages—especially in election years—have been the largest driver of the debt increase, with revenue shortfalls playing a key role in recent years. • Lack of transparency and accountability. Large quasi-fiscal activities and extra budgetary spending have made it difficult to assess the overall fiscal stance; and lack of formal mechanisms to strengthen budget credibility have led to spending overruns, particularly during election years. • Budget rigidities. Taken together, extensive revenue earmarking for statutory funds, high wage bills and interest payments exceed revenue, severely constraining fiscal space. • Revenue erosion . Pervasive exemptions and lack of compliance have weakened tax bases and collections. • Arrears accumulation . Partly related to the above, arrears have been a recurring problem, calling into question the government’s ability to manage its spending plans. 8. In response, the government has taken a number of important measures. An audit of unpaid bills as of end-2016 is under way, and efforts to limit earmarking were codified in recently enacted legislation. The government has also removed some 50,000 persons from its payroll, reflecting the enforcement of biometric registration. The MoF has also started initiatives to address abuses of tax exemptions and strengthen the PFM system. In all these efforts, the MoF’s commitment to strict enforcement of legal provisions for uncovered unauthorized commitments and violations will help strengthen transparency and accountability. 9. The 2017 budget targets a significant fiscal correction. 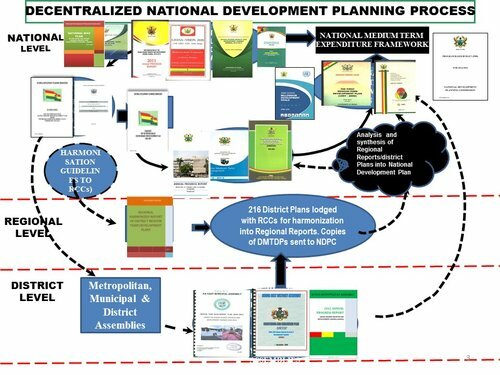 This is planned to be achieved through strong revenue mobilization efforts together with strict expenditure prioritization measures. In the mission’s view, revenue targets are optimistic. However, the authorities have indicated their commitment to further adjustment should the need arise to attain the 2017 budget deficit target of 6.5 percent of GDP. In the mission’s view, the key objective is to achieve a budget deficit sufficient to reverse unfavorable debt dynamics, which might require additional adjustment. While the revenue administration measures included in the budget are a step in the right direction, they will need to be supported by more policy changes to make a lasting impact. 10. Wide-ranging fiscal reforms are needed to underpin fiscal adjustment. 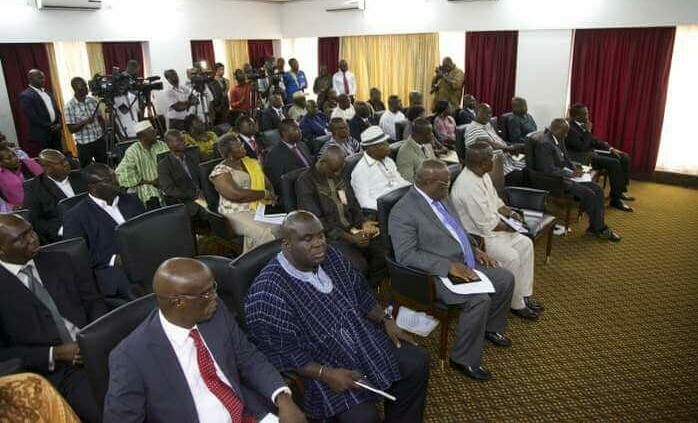 The important initiatives noted above need to be pursued decisively, especially PFM improvements to integrate all spending agencies under the Ghana Integrated Financial Management Information System (GIFMIS) and streamline budget processes to take account of increasing automation; to ensure better oversight of payroll across agencies; and to reconcile and rationalize bank accounts through swift implementation of the Treasury Single Account (TSA). Stronger monitoring and control of cash balances will improve cash management and help reduce borrowing, leading to better budget execution and sounder debt management. 11. The revamped PFM reform agenda deserves full attention. Ghana’s fiscal challenges have long been known and, accordingly, the proposed solutions have long been on the table and are thus welcome. In the mission’s view, the government should step up efforts to complete ongoing revenue administration and PFM reforms, with the overall objective of strengthening the MoF’s capability in formulating, executing, and monitoring budget policies. In that context, the MoF has initiated the process of strengthening its capacity in the areas of Treasury and Risk Management, and will create a special department to enforce the Public Finance Management Act. The PFM Act approved in 2016 includes key initiatives to strengthen fiscal transparency and accountability—such as the preparation of a Fiscal Strategy Document and a Fiscal Risk Statement. When fully implemented, these would shift the focus to a broader coverage of fiscal operations and help formulate fiscal policy in the context of a multi-year fiscal anchor. 12. The SOE utility sector poses significant fiscal risk. The Energy Sector Levy Act (ESLA) introduced in 2016 has helped restructure debt obligations to domestic banks. But the sector’s debt reached an estimated $2.4 billion (over 6 percent of GDP) at end-2016, and the continued accumulation of losses and lack of discipline in ensuring timely payments of bills will eventually add to the debt stock, dwarfing ongoing debt restructuring efforts and requiring additional government support. The MoF’s efforts to monitor the SOE sector more systematically are welcome—these should pave the way to adopting concrete measures to ensure the SOEs’ financial viability. In this context, the ongoing financial audit of SOEs should be concluded without delay. 13. Prudent debt management can help secure the government’s financing needs at reasonable cost and reduce debt sustainability risk. Gross financing needs remain sizable in 2017 (equivalent to 13 percent of GDP) and the exposure to foreign investors (about a quarter of total debt) is large. This calls for a financing strategy that reduces refinancing and exchange rate risk. The mission supports the government’s medium-term debt management strategy to rely primarily on domestic currency financing while lengthening maturities and pre-finance annual borrowing needs to avoid temporary cash shortfalls. Over time, planned liability management operations will help reduce refinancing risk. 14. The BoG has made progress in strengthening its inflation targeting (IT) regime. Reforms to the monetary operations framework have led to the monetary policy rate (MPR) and interbank rate to fall into line, strengthening the monetary transmission mechanism. However, inflation has frequently exceeded the BoG’s target, primarily reflecting fiscal slippages. As fiscal dominance remains a key medium-term risk to inflation, continued adherence by the BoG to zero financing to the government would be key to anchoring the IT framework’s credibility. In the mission’s view, this practice should eventually be codified in legislation to make it robust to policy changes. 15. Headline inflation has continued to decline, but the BoG should remain vigilant . As disinflationary signs grew stronger, the BoG recently lowered the monetary policy rate (MPR) by 200 basis points. In the mission’s view, going forward, the BoG should proceed cautiously given potential upside risks to inflation, by avoiding large unexpected changes and carefully managing market expectations. 16. There is a pressing need to develop a coherent and transparent foreign exchange (FX) policy. For the IT framework to be fully effective, the BoG’s FX intervention policy should be limited to smoothing exchange rate volatility rather than supporting directly the value of the cedi. At the same time, the BoG should continue its efforts to develop and deepen the FX market, building on progress achieved last year when surrender requirements for gold and cocoa export proceeds were eliminated and FX auctions were introduced. The authorities are of the view that the FX auctions have not worked well, and as result the last auction was canceled. In the mission’s view, the FX auctions, if properly implemented, will help increase transparency and price discovery in the market. 17. The BoG has taken important steps to bolster financial sector resilience. The BoG conducted an Asset Quality Review (AQR) and began implementing a Roadmap for Financial Stability, which will address shortfalls in provisioning and capital, tighten the provision of emergency liquidity assistance (ELA) to banks and reduce risk concentration by enforcing large exposure limits These steps will be supported by a new Banks and Specialized Deposit-Taking Institution (SDI) Act which came into force in early 2017 and provides the BoG with enhanced supervisory and resolution powers. 18. Decisive action is needed to address existing and emerging weaknesses. • Banks with capital shortfalls according to the AQR should prepare credible and time-bound recapitalization plans for BoG’s approval, in line with the timetable specified in the Banks and SDI Act. Further actions will be determined based upon a review of the plans. Inaction would adversely impact credit and the real economy, financial deepening, and ultimately lead to quasi-fiscal costs to the BoG; it would also create moral hazard, undermining banks’ discipline. • The ELA guidelines should be strictly enforced, including by requiring banks to provide collateral and implement repayments plans; large exposures should be aligned with regulatory limits. • Emerging problems in microfinance institutions (MFI) require immediate attention. The BoG should formulate a master plan for strengthening the MFI sector and its supervision, and quantify restructuring costs so that public sector backstops, if needed, can be established. 19. Credibility ultimately rests on decisive actions—and the time for action is now. Collaboration across institutions will be necessary to guarantee success—a good place to start would be the reconciliation of data to bring more transparency and strengthen policy formulation. 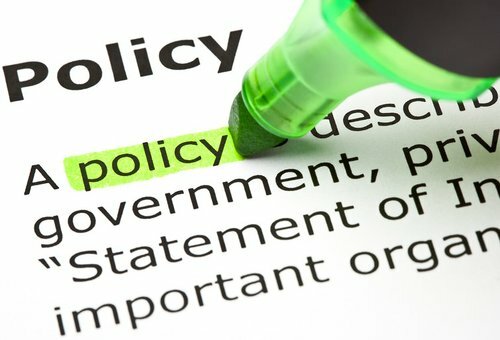 As inevitably trade-offs will emerge and the pace of policy initiatives’ implementation will need to be tailored to the available fiscal space, effective communication at every step will be essential to manage expectations and strengthen ownership of the government’s policy agenda. There is a need to maintain the reform momentum in order to anchor the newly-restored market confidence.